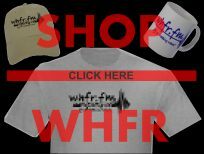 Photos from the 2018 record show hosted by WHFR at Henry Ford College. Jo Ann Korczynski, age 82, of Dearborn, Michigan, passed away January 6, 2016. Jo Ann was born November 3, 1933, in Detroit, the daughter of George and Jo (Cessna) Selke. A graduate of Cass Tech, she worked in Hudson’s display department. In 1958, she married Edward M. Korczynski (1932-1996) with whom she shared the joy of music appreciation. She was a professional story-teller. From 1995 through 2015, Jo Ann Korczynska was the DJ of the “Highway 61” blues show on WHFR radio, produced three “Uncut Detroit” compilation CDs, and was awarded a Detroit Blues Society lifetime achievement award. July 11 & 12, 2015; Max M. Fisher Music Center in Detroit. WHFR had an info table in the Atrium and broadcast all the live performances on the Diversity Stage on both days. What a great night it was! Celebrating 30 years of independent, noncommercial radio, with help from RJ Spangler's Kansas City Six wsg Camille Price and, as their opening, the Brazil and Beyond Guitar Duo. All of which happened at Dearborn's Park Place Banquet Center. Thanks to all for making it an historic night! Our 7th Annual fundraising event to feature all things "metaphysical" as represented by local educators, practitioners, and vendors.